When history settles on the who’s who of early 21st century Texas song writing the name of Slaid Cleaves will hold a prominent position. While technically he will always be an honorary Texan due to his North East formative years, the decades spent penning many songs in Austin, and the ensuing album releases, have seen the stripes earnt. 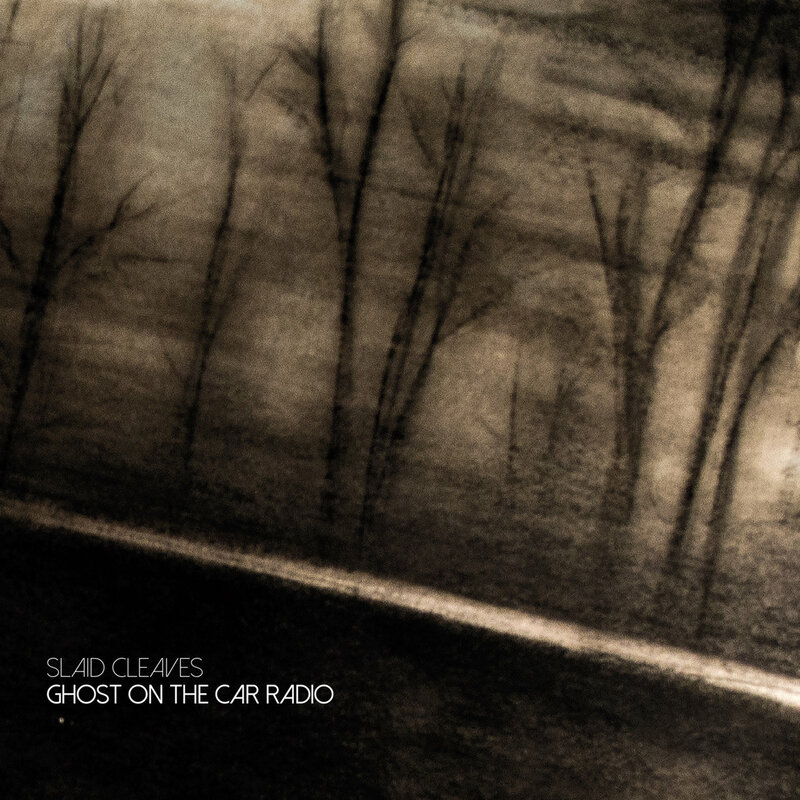 Just when you thought it was getting a little quiet on the Slaid front, a new album titled GHOST ON THE CAR RADIO has appeared revealing our song-writing protagonist in fine form firing on his many lyrical cylinders. His long time musical sidekick Scrappy Jud Newcomb is once again heavily involved on production matters and it is of little greater surprise to see the name of Slaid’s lifetime buddie Rod Picott appearing in the writing credits. Now we are used to this pair exchanging co-writes on each other’s albums and subsequently this has occurred with ‘Drunken Barber’s Hand’ hitting the recorded status for the second time since appearing on Rod’s 2015 album FORTUNE. With the world getting a crazier place over the last couple of years, the metaphorical sentiment of the chorus line has never been more apt. No doubt time will judge where this album resides in the rankings of Slaid’s discography, but there are sufficient examples among the track list of songs that have the potential to push some his classic cuts, of which I would include ‘New Year’s Day’, ‘Hard to Believe’ and ‘Broke Down’ to be up there with his all-time best. While perhaps those heights haven’t been scaled during preliminary plays, ‘Little Guys’ and ‘The Old Guard’ immediately jump out as ones to listen out for. The latter is a splendid nostalgic take on a generational battle over the juke box in a quintessential small time bar with, as you would guess, ‘cheating hearts crazy arms, now it’s crying time’ coming out on top. The other pick sees Slaid once again champion the underdog and provide further proof that this writer can get to grips with putting the brakes on life’s rampant progress. Reflecting back on Slaid’s work over the years, there has always been a diarist/ chronicler/ commentator side to his writing often defaulting to the literary literal. The work with Rod Picott has often veered down a blue-collar route with two co-writes appearing on this record in ‘Primer Gray’ and ‘Take Home Pay’ reflecting a well-worn style. The last song in particular has a ‘cutting’ line suggesting if funds are low you could always visit the blood bank! Perhaps the most interesting track on the album is the closer where you are left to ponder who or what is being taken on a one-way trip to the ‘Junkyard’. Once again, this ‘sunset’ track originates from a Cleaves/Picott co-write and is hopefully not to be taken as a career curtain. Slaid may have slowed down on the recording front in recent years and now approaching his mid-fifties, but the time is ripe for him to really focus on the generational struggles that he is so good at documenting within his songs. While the album has a general feel of classic Slaid Cleaves, complete with the usual soft vocal style, A* master of the narrative status and a solid production backing, there are moments when the material struggles to more than scratch the surface. Evidence is being gathered of Slaid spending some considerable time on the road supporting the album and this may be the catalyst to lifting those tracks yet to fully blossom. GHOST ON THE CAR RADIO gives long term Slaid Cleaves fans plenty of material to get to grips with and possesses sufficient conduit appeal for new admirers to ease into the sphere of classic material within his back catalogue. The main thing is that a key Americana songwriter is back doing what they do best and adding more credibility to how history will ultimately judge them.